PT ASDP Indonesia Ferry (Persero) - Indonesia Ferry is a reputable state-owned transportation company in Indonesia that runs in sea transportations services. Indonesia Ferry has specializes in managing roll-on/roll-off ferry transport services. Indonesia Ferry is is completely owned by the government of Indonesia. Indonesia Ferry was first established in 1973 as Proyek ASD Ferry (PASDF). 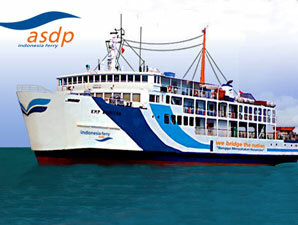 PT ASDP Indonesia Ferry (Persero) was officially established in 2004. Headquartered in Jakarta, Indonesia Ferry now has 29 branch offices spread across Indonesia. Indonesia Ferry also supported by 143 ships. The Company's head office is registered at Jl Jend Achmad Yani Kav 52A, Jakarta 10510. In terms of financial performance, PT ASDP Indonesia Ferry (Persero) posted an increase of 48.96% in revenues from Rp 1,162 billion in 2012 to Rp 1,731 billion in 2013. Total net profit amounted to Rp 151 billion in 2013, which represented an increase of 17.96% over total net profit recorded in 2012 of Rp 128 billion, according to PT ASDP Indonesia Ferry (Persero) recently published financial report as cited by JobsCDC.com. Maximum age of 28 years old on 13 May 2017. The candidate with prior experience in Notary office as Staff is preferred. Have attended training in paralegals, and legal documentation is preferred. Articles of Association and legal documentation. The candidate with prior internship experience in Law Firm/Notary office is preferred. Have attended training in PKPA (Pelatihan Keahlian Pendidikan Advokat) from PERADI, and legal drafting is preferred. Criminal Law, Civil, Business, Employment. Civil Procedure Code, Criminal Procedure. Maximum age of 35 years old on 13 May 2017. S1 Accounting from State University (PTN). Minimum 5 years of experience as Auditor. The candidate with prior experience in Public Accounting Firm (KAP) is preferred. Possess certification in Tax Brevet. Mastering and able in the field of Auditor. Strong understanding and mastering in taxation. Managerial: have a good leadership, integrity, high motivation, able to cooperate, analytical thinking, able to work in teams. Character: Honest, communicative, broad-minded, have a willingness to learn, resistant to pressure, brave, open mind, have commitment. S1 Shipping Engineering, Mechanical from State University (PTN). Have experience in Shipyard / Shipping Industry. S1 Management, Psychology, Industrial Engineering from State University (PTN). Minimum 5 years of experience in the field of Human Resources (HR). The candidate with prior experience as a procurement committee of goods and services is preferred. Minimum 5 years of experience in the field of Law/Legal. Possess certification in the field of Litigation or Leadership. Preferably possess license of Conduct (PERADI). Functional: Attention to quality of work, Compliance, Power analysis, Conceptual power, Negotiation skills, Cooperation. JobsCDC.com now available on android device. Download now on Google Play here. Please be aware of recruitment fraud. The entire stage of this selection process is free of charge. PT ASDP Indonesia Ferry (Persero) - D3, S1 Admin Staff, Auditor, Manager ASDP May 2017 will never ask for fees or upfront payments for any purposes during the recruitment process such as transportation and accommodation.